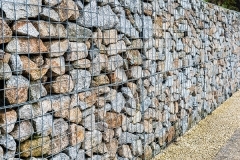 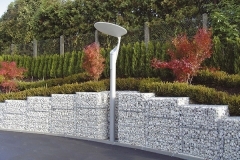 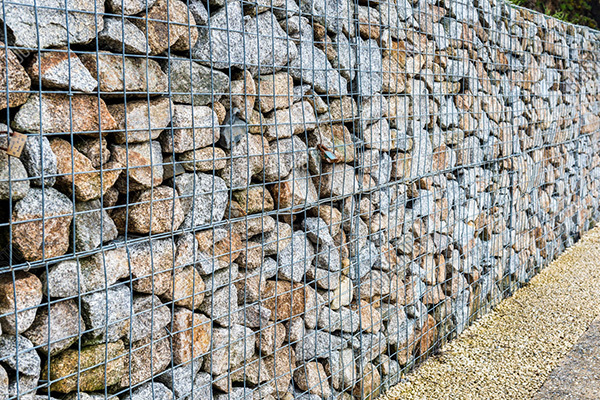 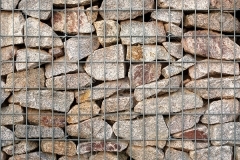 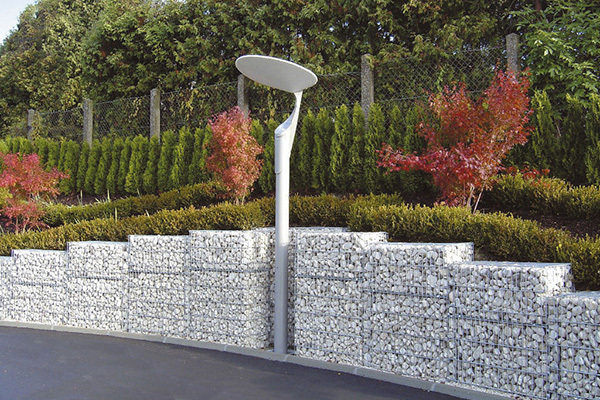 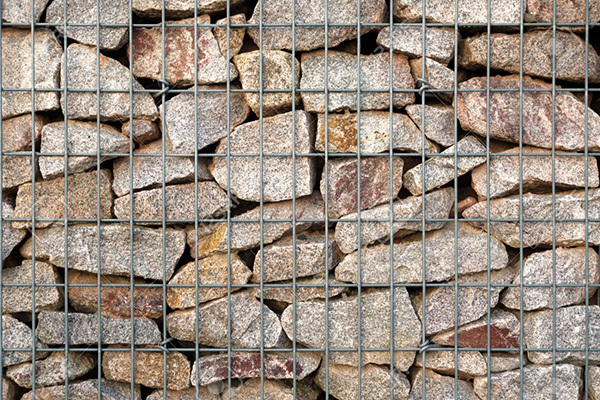 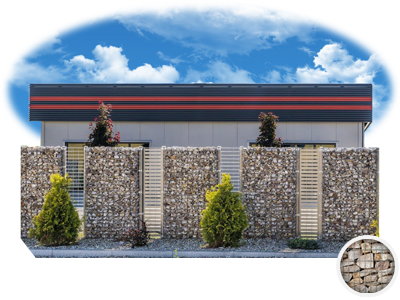 We produce and install ecological, antiacoustic Gabion fences which are not only fashionable and elegant, but can also serve as wall or landing support. 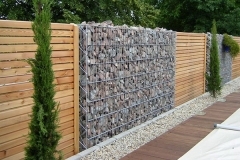 The construction of the fence can be adapted to the client’s needs. It is made of a steel bar (5mm diameter), filled with any stone, glass and other natural materials.